The Energy Advice Line has welcomed an Ofgem ruling that requires energy suppliers to publicise "collective switch" tariffs on their Cheapest Tariff Message (CTM). Suppliers are already obliged to include information on bills about the cheapest tariffs available and how much a customer might save by switching to the deal. 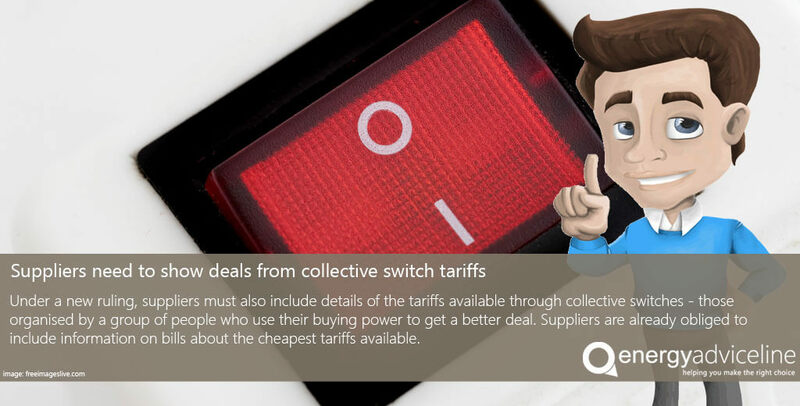 But under a new ruling, suppliers must also include details of the tariffs available through collective switches - those organised by a group of people who use their buying power to get a better deal. Normally a customer would have to register with the collective before switching, but under the new ruling they will be able to switch after the collective rate has already been fixed. "When carried out in a responsible and trustworthy manner, we value collective switches as an innovative way of engaging consumers and facilitating the switching process," Ofgem says. "Collective switches provide consumers, including the vulnerable, with another means of accessing better energy deals, which in turn enables them to save money." But Julian Morgan, managing director of the price comparison, switching and advice service for energy users, said it was important for consumers to examine collective switch tariffs very carefully as often they were not as cheap as they appeared at first glance. "There's no reason why more customers should not benefit from collective switch tariffs, an innovative way of securing good deals and encouraging consumers to switch," said Julian Morgan, managing director of the Energy Advice Line, the UK's leading price comparison, switching and advice service. "But it's important to look at the details of the tariffs and ascertain wehther it is genuinely cheaper than other deals available elsewhere. The collective may not have had access to the best deals, for whatever reason, so consumers need to be careful." Mr Morgan said there was no better way to find the best deal than shopping around and checking the market. "You should do this yourself or use the services of a reliable and reputable service like ours. 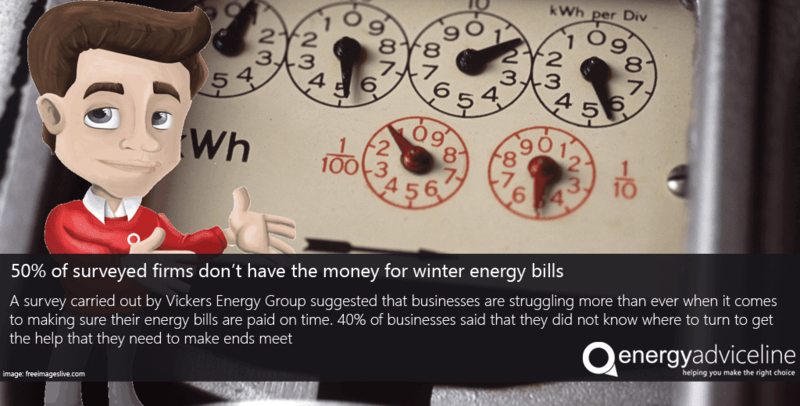 Our quotes are quick, simple and you can compare this with what you are already paying, or the collective switch tariff publicised on the CTM. "The important thing is to stay in control of your energy supplies, switch regularly and make informed decisions. That's the best recipe for saving money on your energy bills." The Energy Advice Line is a concumer champaign and an indepdendent price comparison and switching service for householders and small and medium-sized businesses. The service enables consumers to quickly and simply compare electricity and gas prices, and to switch to the best available deal on the market. The service also offers free advice and a contract management service, including alerts to remind business consumers when their fixed-term energy contracts are about to end. Leading online price comparison service The Energy Advice Line has welcomed plans by energy giant E.ON to cut gas prices by 5.1%. The move follows a request to all energy firms from Energy Secretary Amber Rudd last year to pass on a fall in wholesale gas prices to consumers. 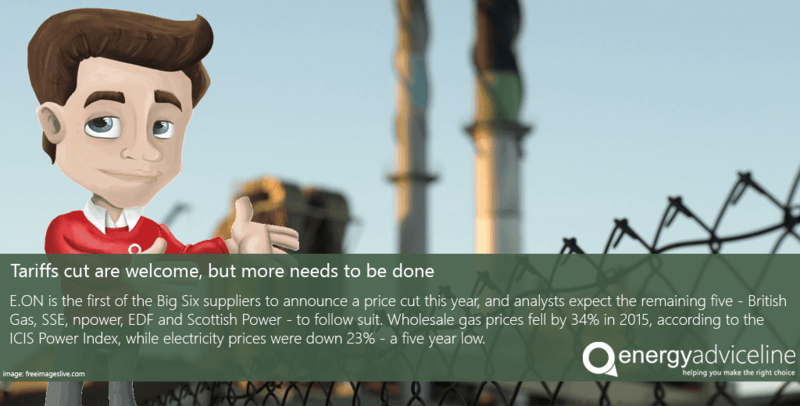 Julian Morgan, managing director of The Energy Advice Line, said E.ON's move was a step in the right direction, although consumers were unlikely to be impressed with the size od the cut. 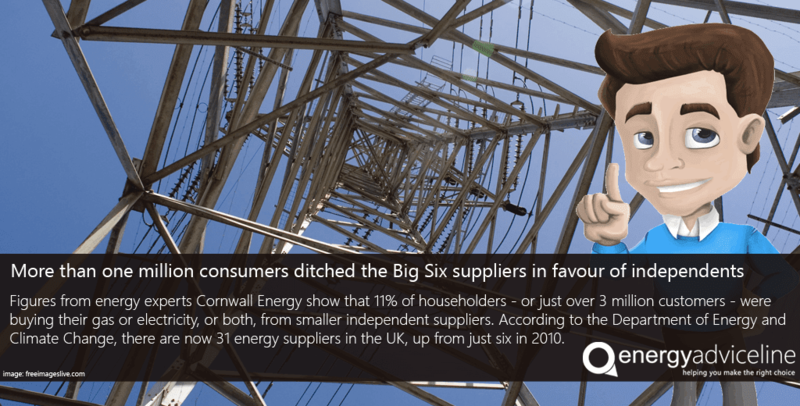 New figures that show more than one million consumers ditched the Big Six suppliers in favour of smaller companies over the past year were no surprise, according to the Energy Advice Line. 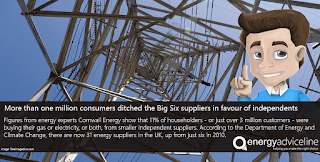 Julian Morgan, managing director of the price comparison, switching and advice service for energy users, said there had been a noticeable drift away from the major suppliers in the past year. "Years of bad service and high prices have taken their toll on the Big Six and these figure confirm that," Mr Morgan said. More small and medium-sized firms should seek help with reducing their energy bills says The Energy Advice Line. Julian Morgan, managing director of the price comparison, switching and advice service for energy users, said a new survey by Vickers Energy Group suggested firms were not taking control of their gas and electricity supplies. "It's crucial for SMEs not to put their energy supplies in the too hard basket and just coast along hoping for the best," Mr Morgan said. © 2014 Energy Advice Line. Simple theme. Powered by Blogger. How much is your renewal?